Mitchell S. Steiner, M.D., F.A.C.S. has served as President and Chief Executive Officer of the Company and as a director of the Company since October 2016. Dr. Steiner was the co-founder of Aspen Park and served as Aspen Park’s Chief Executive Officer, President and Vice Chairman of the Board from July 2014 to October 2016. 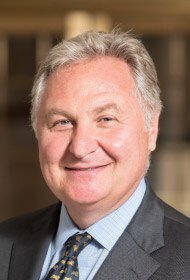 From 2014 to 2016, Dr. Steiner was a consultant and then the President, Urology and member of senior management of OPKO Health, Inc. (NYSE:OPK) and had responsibilities for the launch, marketing, sales and reimbursement of 4Kscore prostate cancer test to urologists and primary care physicians. 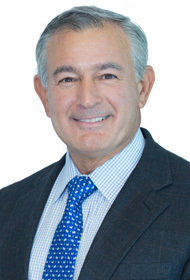 Dr. Steiner was also the co-founder of GTx, Inc., a men’s health and oncology public company, where he served as Chief Executive Officer and Vice Chairman of Board of Directors from 1997 to 2014. Dr. Steiner is a Board Certified Urologist and a Fellow of the American College of Surgeons and has held numerous academic appointments, including Assistant Professor of Urology, Cell Biology, and Pathology at Vanderbilt School of Medicine from 1993 to 1995 and Chairman and Professor of Urology, Director of Urologic Oncology and Research and the Chair of Excellence in Urologic Oncology at the University of Tennessee from 1995 to 2004. Dr. Steiner holds a B.A. in Molecular Biology and Chemistry from Vanderbilt University and an M.D. from the University of Tennessee. He performed his surgical and urologic training at The Johns Hopkins Hospital and postdoctoral research fellow in cell biology at Vanderbilt School of Medicine. Harry Fisch, M.D., F.A.C.S. has served as a director of the Company since October 2016. Dr. Fisch was the co-founder of Aspen Park and served as the Chairman of the Board and Chief Scientific Officer of Aspen Park from July 2014 to October 2016. From 1994 to 2016, Dr. Fisch served as the Chief Executive Officer and President of Millennium Sciences, Inc. Dr. Fisch has also had numerous academic and clinical appointments including Clinical Professor of Urology and Reproductive Medicine at Weill College of Medicine, Cornell University from 2009 to 2016, Director of the Male Reproductive Center at Albert Einstein College of Medicine/Montefiore Medical Center from 1998 to 1999 and Professor of Clinical Urology at Columbia University, College of Physicians and Surgeons from 1999 to 2009. From 2014 to 2015, Dr. Fisch hosted The Dr. Harry Fisch Show on Men’s Health on Howard Stern’s SiriusXM radio channel 101. Dr. Fisch is a Board Certified Urologist and a Fellow of the American College of Surgeons. Dr. Fisch holds a B.A. in Chemistry from the State University of New York at Binghamton, an M.D. from Mount Sinai School of Medicine, New York, and performed his surgical and urologic training at Albert Einstein College of Medicine/Montefiore Medical Center. Mario Eisenberger, M.D. has served as a director of the Company since October 2016. Dr. Eisenberger currently is the Dale Hughes Professor of Oncology at The Johns Hopkins University and has been in the full-time faculty since 1993. From 2010 to 2014, Dr. Eisenberger founded Oncology Trials Insights, Inc., a privately held clinical trials management company. Since 2010, Dr. Eisenberger has also served as an ad-hoc member of the Oncologic Drugs Advisory Committee of the FDA. Since 1988, he has served in advisory, strategic and data safety monitoring boards, including Bristol-Myers Squibb, Sanofi, Astellas, Schering Plough, Auguron, AKZO, Dupont, Rhone-Poulenc Rorer, Aventis, Jansen, Ipsen, Active Biotech, Medivation, Tokai, Xanthus, Cytogen, Ortho Biotech, Active Biotech, Merck-Sharp and Dohme, Tyme, Inc., Ferring and Bayer. From 1984 to 1998, Dr. Eisenberger held the position of head of the advanced prostate cancer committee and vice chair of the genitourinary cancer of the Southwest Oncology Group. From 1984 to 1993, he served as Professor of Oncology at The University of Maryland. From 1984 to 1989, he was the Chief of Oncology at the Baltimore VAH. From 1982 to 1984, he was a Senior Investigator at the Cancer Therapy Evaluation Program of the National Institute in charge of coordinating extramural clinical research in urological cancers. From 1976 to 1982, he served in the faculty of the University of Miami. Dr. Eisenberger obtained his M.D. at the Federal University of Rio de Janeiro Brazil in 1972 and is board certified in Internal Medicine and Medical Oncology. Jesus Socorro has served as a director of the Company since March 2017. 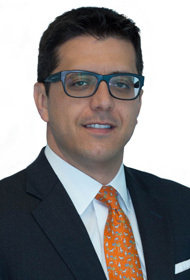 Mr. Socorro, a Florida-licensed C.P.A., is the Managing Principal of the Risk Advisory practice of Morrison, Brown, Argiz & Farra, LLC, a nationally recognized accounting and advisory firm headquartered in Miami, Florida, where he has been since March 2014. From August 1999 to November 2002 and from May 2004 to March 2014, Mr. Socorro worked in the audit practice of Ernst & Young LLP, most recently as an Audit Senior Manager. From November 2002 to November 2003, Mr. Socorro served as the Technical Accounting Manager for LNR Property Corporation (a then-NYSE-traded real estate finance company) and from November 2003 to May 2004, he was an Audit Manager with BDO Seidman, LLP. Mr. Socorro received his M.B.A. from Northwestern University J.L. Kellogg School of Management in 2007. 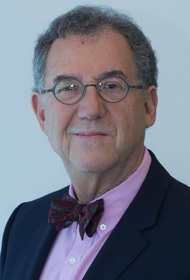 Michael L. Rankowitz was elected director in March 2018. Mr. Rankowitz has held directorships with NF Investment Corp., Carlyle Funds, 1st Tee of Metropolitan New York, Discover Card, Clarent Hospital Corp., New York Racing Authority, International Dyslexia Association — New York Branch, Trinity School (New York) and Browning School (New York). From 1980 to 2001, Mr. Rankowitz was a managing director at Morgan Stanley, where he also served as co-head of Global High Yield and was responsible for risk management, research and sales for high yield, emerging markets, bank debt and distressed securities. He continues to be a Senior Advisor to Morgan Stanley. He has a B.S. in mathematics from the University of Vermont.